Escaping the confines of shrinking urban homes and being out on balconies and elevated rooftop terraces is a great way to get some fresh air. 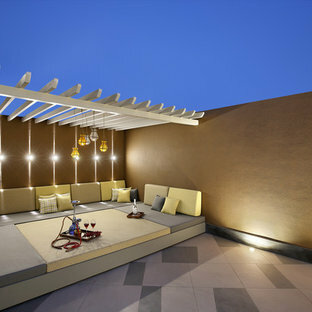 Spacious or small, it is a great outdoor area to enjoy your morning coffee, read a book, fine dine or just relax. 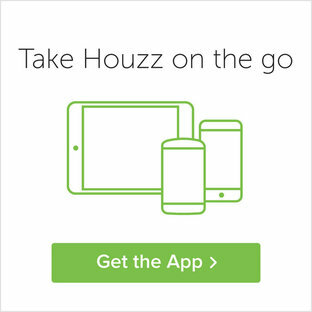 Most homeowners are resourceful and can adapt any terrace or balcony design to fit their needs. 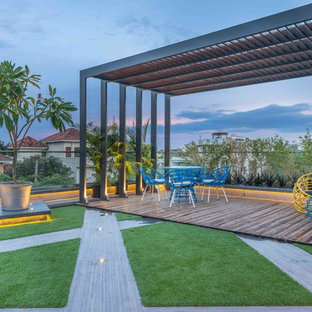 Before you finalize terrace ideas, browse through these rooftop space and balcony images to gain some inspiration. How do I design a terrace? Traditional homes were built to maximise outdoor space so it is no surprise that most old homes have a dedicated rooftop terrace. If you enjoy the privilege of a terrace, then ensure it is designed well. While renovating keep in mind the safety, style and purpose of this outdoor area. 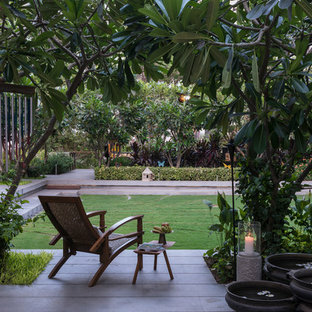 If you enjoy gardening and are restricted by space on the ground level, a terrace garden is the way to go. TTerrace gardens, like regular ones, can be as simple or elaborate as you need. You can cover the entire surface with soil to create a landscape or opt for a simple terrace garden design with pots. If you decide to landscape your terrace, ensure you waterproof the surface to avoid any leakage into your home. 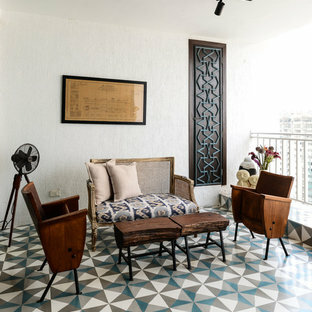 Concrete is the most common choice of flooring, but you can get creative with tact-tiles or red oxide tiles to add a splash of colour to this space. What kind of terrace decor and furniture should I use? Deck chairs and rattan chairs are great pieces of terrace furniture as they’re portable and can be moved around your rooftop garden easily — perfect for sun chasers. However, if you want to explore larger terrace designs, think about built-in benches or seating around the sides or corner of your rooftop. Add energy efficient solar lights to enjoy the space at night, and consider placing the lights at floor level to magnify the plants. 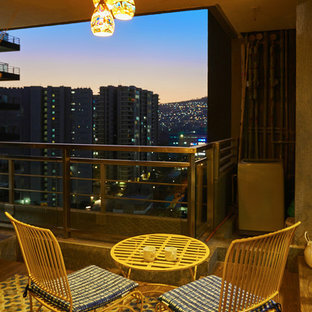 How do I make the most of my balcony design? 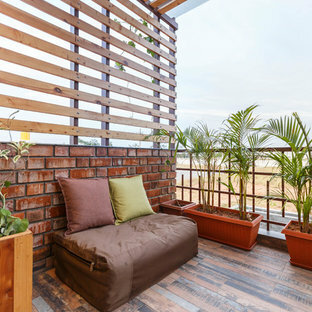 In most Indian homes the balcony is the smallest outdoor space, making it a design challenge. You can start by adding doors that open out fully, letting the air and light come in. This will help the balcony design seem like an extension of the indoor space. If you have a small balcony, you can reserve it as a personal space by printing your personality in it. Small balconies should not be cramped with too many elements, skip the bulky balcony furniture and add a floor arrangement or hammock. If you don’t have enough space for plants, try to dedicate a wall for a hanging balcony garden. Also, depending on your personality you can incorporate decor that involves soft textiles, beautiful vases and flowers. Try to add a small water element to create a sense of serenity and tranquillity. 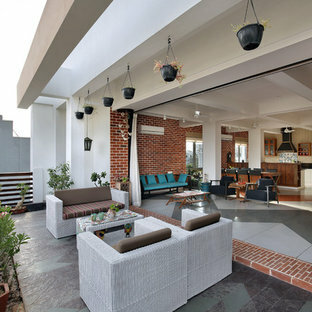 Remember, a well-planned terrace or balcony can be the perfect retreat after a long day. 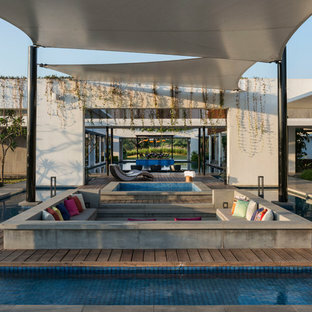 The planning took advantage of the abundance of lush greenery: in the private pool, one swims amongst tree tops, which provide a beautiful natural screening to supplement the ceramic fritted glass partition which prevents overlooking between floors. Aunque el ático esté en Andalucía, algo con lo que taparse si refresca da sensación de calidez. ¿Unas palomitas? Interiorismo de Ana Fernández. Fotografía de Ángelo Rodríguez.